Well day one of the Paneled Sunsuit “Not Just a Sunsuit” tour was fantastic, but let’s try to top it anyway! Just a quick note, that I’ve changed the end date of the coupon code to run through Labor Day (in the US) which is the 7th of September. First up on the tour today is Gracious Threads. 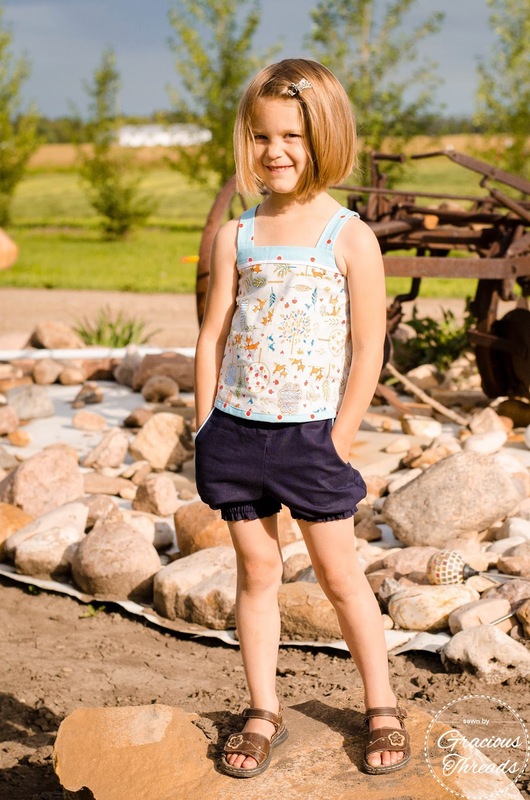 This tank and shorts combo is the perfect summer outfit and both are views from the pattern which is so fun to see. She mentions in the post how she added a bit of length to the cropped tank which looks so good. I have to say the shorts I made for Bean are the most worn this summer. She chooses them whenever they’re clean so they must be comfy! 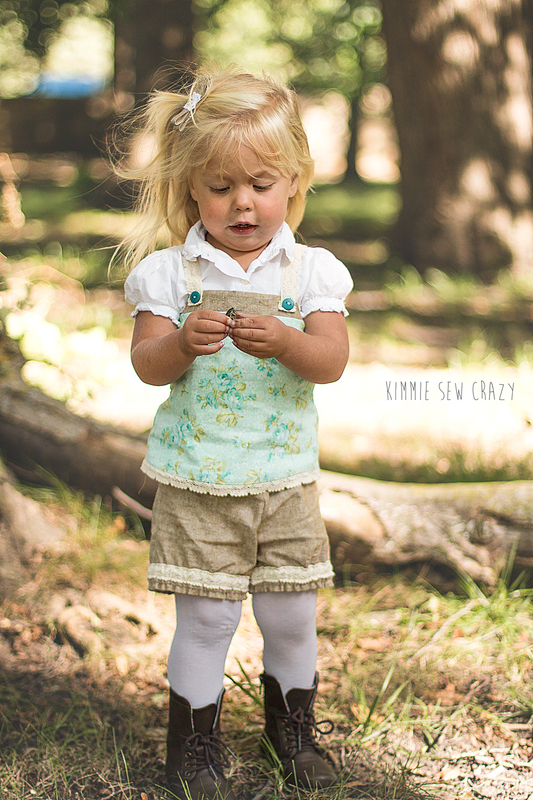 Next we have Kimmie Sew Crazy with ANOTHER shorts and tank look. There are a few adorable changes she made and of course amazing pictures so you’ll have to check out the post! 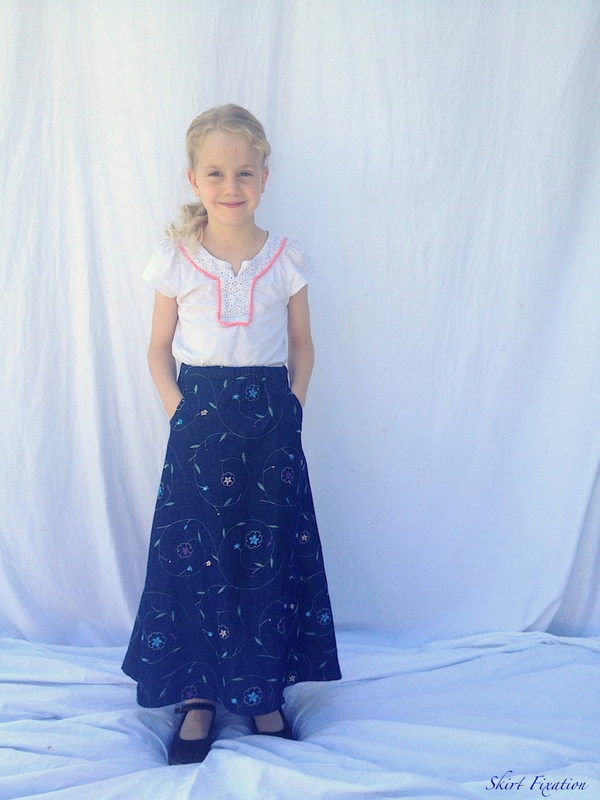 Skirt Fixation made a fantastic maxi in denim and it turned out perfect! The bottoms of the Paneled Sunsuit are designed to hold up to heavier bottom weights – which can be tricky at the maxi length – so I love seeing a good bottom weight used. It makes the all the testing and retesting to make sure the design would carry the weight properly totally worth it. Thanks for validating my process Audrey, hehe!